Tell people you’re interested in a natural birth, and they just might look at you like you’ve lost your mind. As a doula and natural childbirth instructor, I meet these pregnant women all the time. They have some instinct that they’d like to allow their body to work the way nature intended, but friends, family, even strangers seem to think their goals are unrealistic, even foolish. As a mother of two boys, I was in their shoes not so long ago—wanting to birth without drugs, but not so sure I could really do it when everyone was telling me how completely unbearable childbirth really was. Good news: for the vast majority of women, natural birth is far from unbearable. It’s work, it’s effort, and for most it does involve pain. But with the right support and space for a woman to tune into her body, it’s very doable and ultimately rewarding. Assuming natural childbirth is achievable, why would anyone want to do it? We have drugs, why not use them? It sounds cliché, but our bodies were made to birth. No, you wouldn’t have a tooth pulled without anesthesia. Of course not! But the pain of birth is not at all like that pain—at least not under the right circumstances. Childbirth is one of the few positive pains we experience in our lives. It’s pain with a purpose, to bring a child into the world. The pain of childbirth is not an indicator that a woman is hurt or sick, or that there is anything wrong at all—it is normal. Just as you don’t need drugs to run a marathon (wouldn’t that defeat the purpose? ), the majority of women do not need drugs to birth. Sure, during a marathon, there’s a small chance you could encounter complications that need medical attention. At some point, you’ll probably feel that you can’t go on. But, by and large, those who start the journey fit and well-centered do finish the marathon—exhausted, but triumphant. The pain of birth can also be transformative. It is our passage from woman to mother, from mother of one to mother of two, and so on. If women are supported and loved on their journey, this kind of pain has the incredible power to bring them out on the other side feeling invincible. If you can triumph over the birth journey, and come out on the other side of that fire, you can do anything. That’s an amazing way to start our journeys as mothers: feeling powerful, strong and wise. I’ve felt that incredible transformation in my own body, and, as a doula and teacher, I’ve witnessed it in many other women. This power is the core of why I love natural birth. increase the likelihood of newborn jaundice. I suggest that my students leave pain medication on the table as an option for their births. I have myself seen a few situations in which an epidural was just the right choice to help a laboring mom go on to have a vaginal birth. Occasionally a medical indication warrants such intervention, or a woman’s pain crosses over into unacceptable suffering. But medication for childbirth is stunningly overused in the United States. I’ll say it again: the vast majority of low-risk women do not need drugs to birth their babies. All drugs carry risks, and there is a huge toolbox of comfort measures that carry no risks at all to mom or baby. All I’m suggesting is that women try those tools first, and if they are well-trained and supported, the majority never even ask for medication. A midwife or physician who understands natural birth and is supportive of those goals can serve as a guardian for low-risk birthing women, alerting them to true complications and recommending intervention only when it is medically necessary. Beyond the choice for narcotics, an epidural or other pharmaceutical pain relief in labor, cesarean birth is a huge issue in our country. According to the Centers for Disease Control, more than 31 percent of U.S. women gave birth by c-section in 2006 (the most recent year for which data is available).4 Really? Almost a third of women are unable to birth their babies vaginally? I am certain that we are not so poorly designed. So my charge to you? 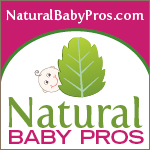 If you are pregnant, do some research on natural birth. Your worldview might change a bit, and something wonderful could evolve for you and your baby. Beyond empowerment, every mother certainly wants to do what’s healthiest for her baby. For low-risk women, when there are no complications, that usually means a prepared, natural birth. If you are a woman who has birthed naturally, share your story! In my class I connect all my students with mentors who have birthed without drugs. We need more positive stories to counteract all the manufactured horror that surrounds birth in this country. And finally, if you meet someone who says she wants a natural birth, support her in that goal. Don’t tell her she’s crazy, and please don’t tell her your horror stories. Expectation can create reality, and she is more likely to have a positive birth experience if she goes in expecting and prepared to have one. Here’s to a world filled with much more normal, natural birth. Take an independent, out-of-hospital childbirth course. Look for one that lasts at least eight weeks, and ask your instructor what percentage of her students birth naturally. Surround yourself with positive stories! Connect with others who have birthed naturally. Find the right provider. One of my students told her doctor that she wanted a natural birth. The doctor asked if that meant she wanted to have her baby in the woods. Message: not a good match. There are providers who support and encourage natural birth, and the women who see them generally have better outcomes, with less intervention. Consider a doula. Doulas are like your tour-guide through birth—a non-medical support person who helps to ease and normalize the experience for the entire family. The research is incredibly clear: women attended by doulas are significantly less likely to request medication, less likely to have a c-section, and more likely to be satisfied with their birth. Doula care also improves breastfeeding success and decreases the incidence of post-partum depression. Trust your body! Our bodies have incredible wisdom. Structure a birth team that shares that trust and will help you create the space you need to tune in to the natural process. "Thank you to Jessica's doula clients, Sarah, Matt and baby Emma, for sharing these photos of their amazing natural birth!" This article is not intended as medical advice. Women should, of course, consult their health care provider in weighing pros and cons and making decisions about their own births. Each situation is unique. Jessica English is a doula, natural childbirth instructor and the owner of Birth Kalamazoo. Her two boys were both born naturally into their daddy's hands, one in the hospital and one at home. Jessica has 15 years of experience in journalism, marketing and public relations, and she still dabbles in that world. But these days she feels lucky to call birth her day (and night) job.